More than 4 million children experienced a school lockdown during the 2017–18 school year, with more than 6,200 lockdowns overall. On a typical school day last year, at least 16 campuses were locked down. The rate of gun suicides in the U.S. has risen 22 percent since 2008. Households in which a gun is owned have triple the suicide rate of those that do not. President Trump tweeted 2,843 times in 2018, an increase from 2,277 tweets in 2017. Of those, 52 percent were tweets promoting himself or his administration, while 32 percent were devoted to attacking his adversaries. 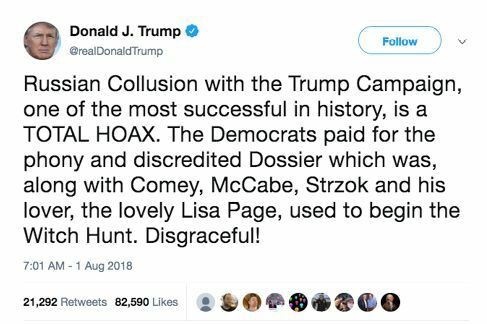 Trump denounced “the Fake News Media” 225 times and special counsel Robert Mueller’s “Witch Hunt” 310 times. Fifty-six percent of workers over age 50 are laid off or pushed out of their jobs at least once before they leave the workforce for good. Only 1 in 10 of those workers ever goes back to earning the same amount of money. Thirty-two percent of Latinos voted for Republican candidates in the midterm elections. Evangelical Christians make up about one-quarter of Latino voters, while military veterans make up 13 percent. Both of those groups are about evenly split between the two parties. 39% of Americans think that President Trump should be impeached in 2019, while 20% want Trump to be formally censured by Congress. 41% say no action should be taken against Trump. 54% of voters do not want a wall on the Mexican border and think that it will not improve border security, while 43% are in favor of building a wall. 62% oppose shutting down the federal government over the dispute on wall funding.